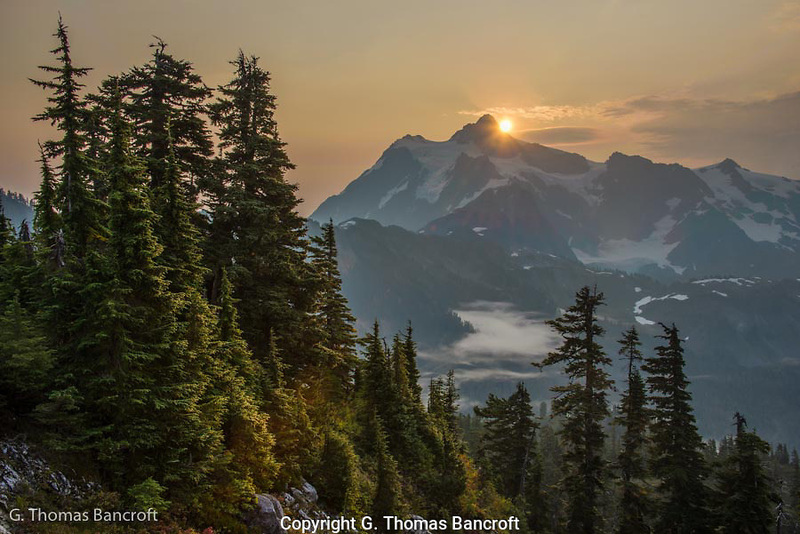 To be out in the mountains early in the morning and experience the sensation of seeing the sun rise over Mt Shuksan has to be a treasure I will remember forever. We had come up the previous morning but the fog was so thick we could not even see any indication that the sun ever rose. It was great on this morning when the fog drifted down into the valley a little while before the sun was scheduled to rise. Truly a spectacular start to the day.